Lower Darwen Primary School: We are proud of our school! What does your child learn at school each day? Find information about our curriculum subjects here. 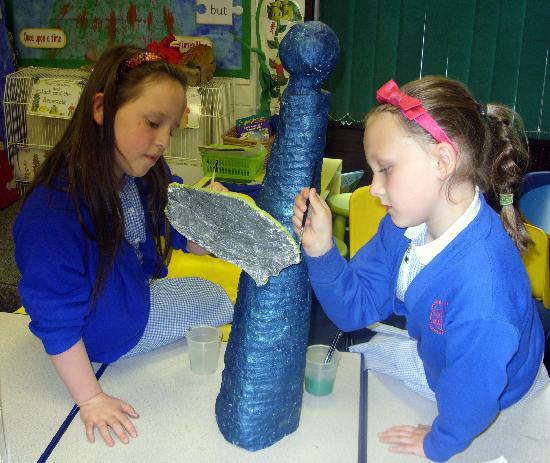 The school curriculum at Lower Darwen is designed to meet the full requirements of the National Curriculum and the Foundation Stage Curriculum. It is in line with our curriculum policy statement and the aims and mission statement of the school. The school's curriculum provides opportunities for learning in both the lessons taught as part of the school day, and the extra-curricular activities that deliberately extend and enhance the formal curriculum. In school all children, unless temporarily exempted through a special educational need, will follow the National Curriculum as determined in law. Curriculum maps for each class can be downloaded from the Curriculum Maps sub page below. If you need further information about about the curriculum, please contact your child's teacher or the headteacher Mr Steven Cumbo. Children will be taught using a variety of approaches that include the teaching of the whole class, working in small groups and working one to one. All subjects are taught in accordance with detailed schemes of work, devised within the school, which meet the requirements of the National Curriculum. The following subjects are taught: English, Mathematics, Science, Information and Communications Technology, History, Geography, Art, Music, Physical Education, Personal, Social and Health Education and Religious Education. All these subjects are taught throughout the school. We aim to provide a curriculum which is broad and balanced and meets the needs of all the children. Information about the curriculum and what topics are taught in each class for the academic year can be found below on the Curriculum maps sub page. Curriculum information about the Foundation Stage can be accessed by clicking on the link in the sub-menu. Additional information about the school's curriculum can be found in the same way.